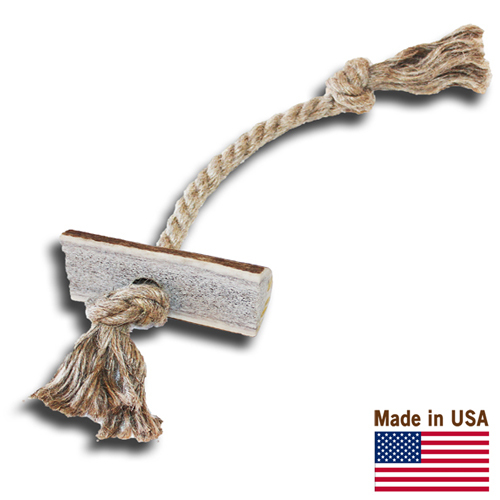 Hemp rope toys for dogs are the perfect chew toy for cleaning teeth. They also help to message the gums. 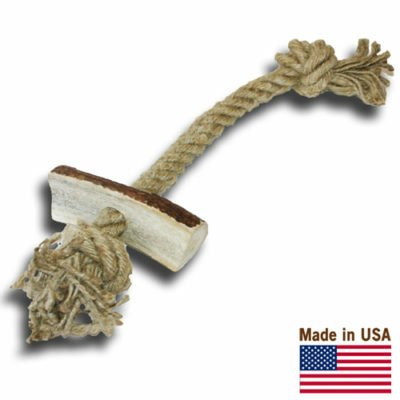 What makes this rope toy even more special is the addition of our high quality antler chews which not only acts as a convenient handle for either you or your dog, but also adds additional nutritional value. Antler chews are nature’s perfect chew for small and large dogs. Cut from 100% North American shed deer or elk antler. No animals are harmed in the collection of our antlers. They provide an excellent source of vitamins, minerals and calcium for your pet. They support bone, joint & muscle health. Non-allergenic and 100% natural, odor free.